A phenomenon that rocked Indian audiences, ‘Kaun Bange Crorepathi’ is all set to capture Tamil audiences for Surya Sivakumar’s game show, ‘Neengalum Vellalam Oru Kodi’ will go on air come February 27. This will be aired from Monday to Thursday at 8 pm. This would be the Surya’s debut on television and the channel plans to leave no stone unturned announcing the launch of the show on Vijay TV. This successful game show promises a whopping amount of Rs one crore to be won. The call for entry mechanism to participate in the show was announced during the fag end of 2011. 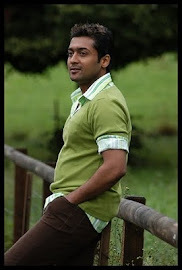 Since then thousands of viewers and fans of Surya gave raving response to the show. Auditions were held at Coimbatore, Trichy and Chennai and apt contestants who answered simple questions in the preliminary tests were chosen to participate in the show. Surya says, “From the moment I walked into the sets of “Who wants to be a millionaire” I knew that this was more than a mere game show. We have done our best and now we wait, like we do for any other big movie release, hoping the audience loves the show as much as we joyfully lived every minute of it”.